We’er always craving Mexican food here in the kitchen of Splendid Recipes. Our featured recipe though is not authentic Mexican food, but a Tex-Mex style food with Mexican ingredient influence. If you didn’t get an opportunity to view our Blog Guest speaker on the Tastes of Mexico then link here. In one of the posts the guest speaker talks about Mexican Food verses Tex-Mex Food. In a small bowl mix together the first six ingredients and set aside. 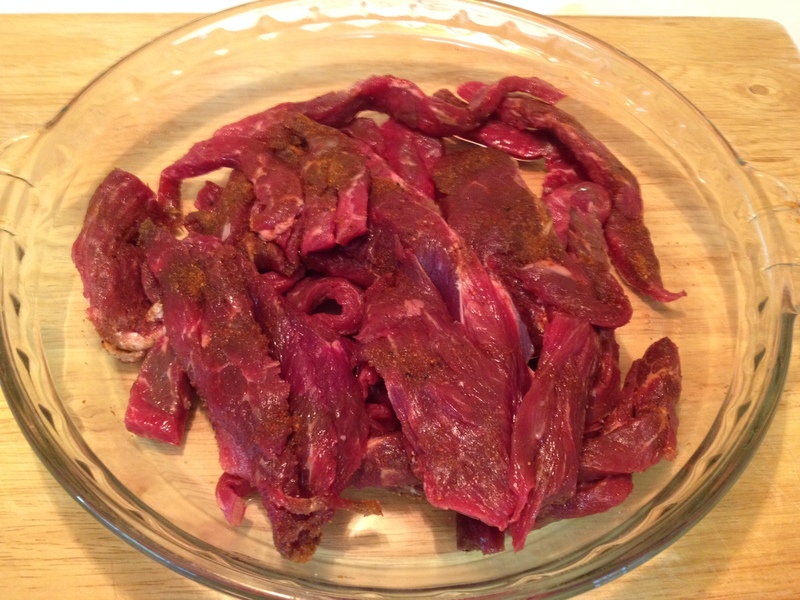 Trim fat from flank steak and cut into 1 x 2 inch strips. Next, with ingredients from small mixing bowl, season beef strips and set aside. Next, seed peppers, and thinly slice. Next thinly slice both onions, then mix together and set aside. With a large ceramic coated frying pan over medium heat, add avocado oil. When oil is hot add beef strips and cook on all sides, about 2 minutes. 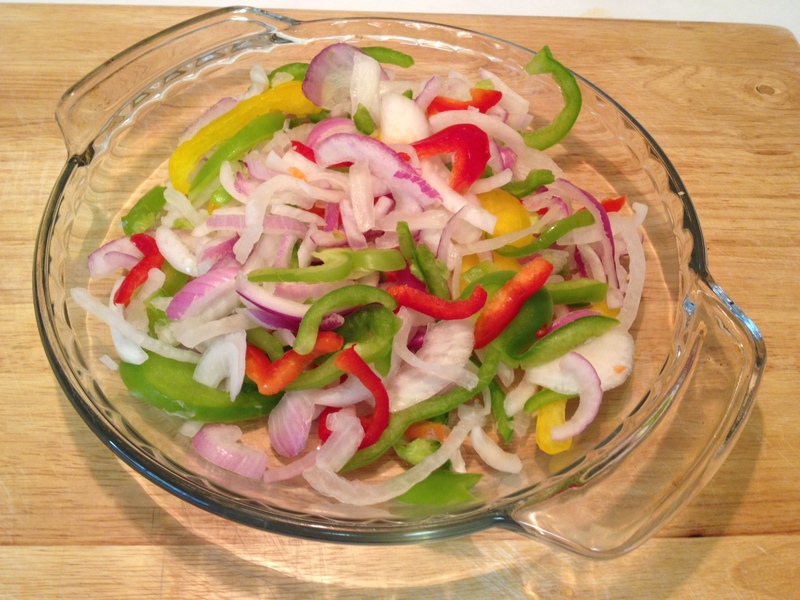 Add, pepper onion mix, stir in and continue to cook until meat is done to your preference (145 degrees for medium…155 degrees for med-well…160 degrees for well-done). Read our article: Keeping Your Family Safe with a Reliable Meat Thermometer. 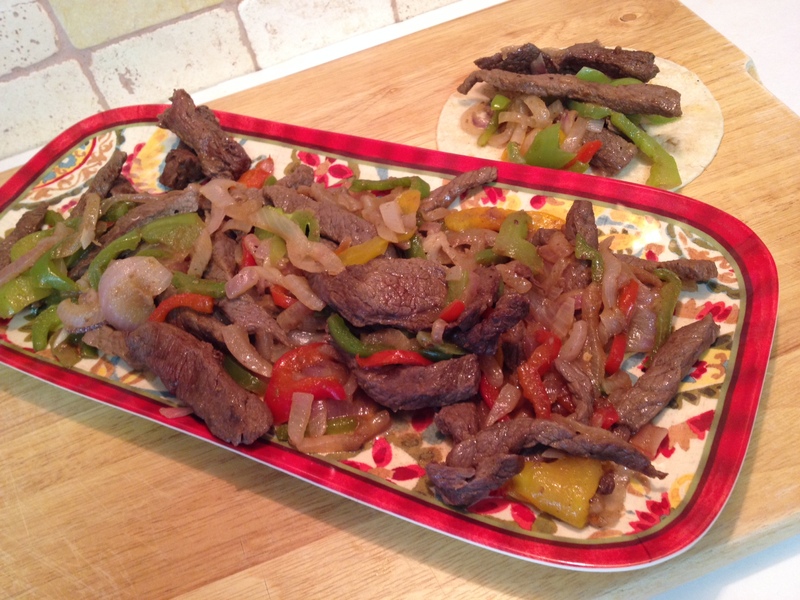 Plate the Beef steak Fajitas and serve with warmed corn tortillas. 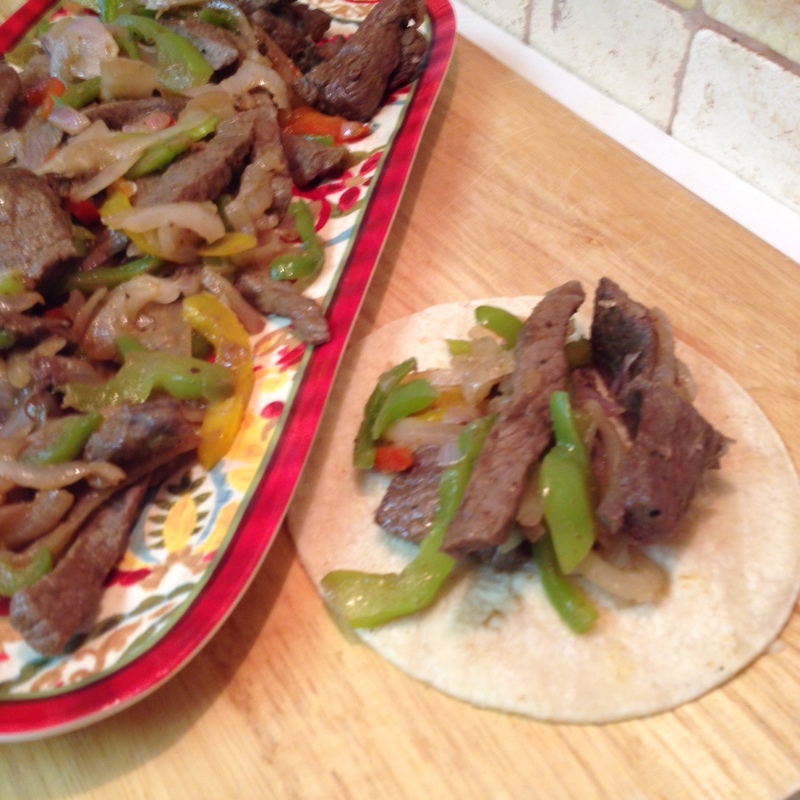 This entry was posted in Beef, Main Dish and tagged authentic Mexican food, Bell pepper, corn tortillas, Flank steak, Food, Frying pan, green bell pepper, Mexican cuisine, Mexican food, Mexican oregano, Onion, red pepper, Teaspoon, Tex-Mex. Bookmark the permalink. One of my favorites and I also make it with flank steak. It is a very healthy dish. Your photo is excellent and thank you for the link to my posts. Thanks Jovina, and always a pleasure to link to your delectable food creation posts! !